Hotel Delta Regency offers free internet access in the premises. Iskon Bangalore (temple) and Malleswaram Railway Station are each located at a distance of 3 km from the property. This hotel in Bangalore comprises 45 well-furnished rooms spread on 6 floors. 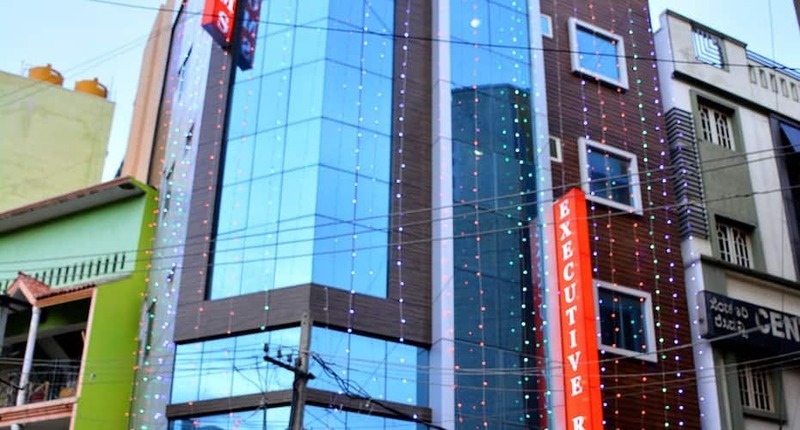 The rooms of this hotel are spacious and offer amenities such as wardrobe, bottled drinking water, television with premium channels, and en suite bathroom with hot/cold running water facility and toiletries.Hotel Delta Regency features an in-house restaurant that offers various delicacies. This hotel also incorporates a 24-hour front desk and a backup generator in case of power cut. Services such as medical assistance, laundry and round the clock room service are also provided.This hotel in Bangalore offers a suitable environment for children and provides travel desk facility. Major attractions include Bangalore Palace (6 km), Cubbon Park (9 km), Lalbagh Botanical Garden (12 km) and Bannerghatta National Park (40 km). Bheemajyothi Nagar Shankara Mutt Bus Stand is 0.5 km and Ranchi Railway Station is 3 km away from the hotel. First night cost (including taxes & service charge) will be charged if you cancel this booking later than 25-Apr-19 12:00 PM IST. I really liked staying over there and the rooms are very much cleaned and well maintained by the house keeping staffs. Their service is also very nice and the place is very pretty cool and comfort for staying also. Stayed here for 2 days in a Non AC Single Room. Provides 24 hrs check in facility. Excellent reception. Hot water available round the clock. Power back up facility. Restaurant available in the ground floor - Ocean restaurant. If wanted Veg. only food, may walk some 300 m & enjoy. Have got Free Wi Fi facility with better speed. Found that Tariff less for direct booking rather than on any other hotel booking sites. Overall, Excellent! The only thing good about this Hotel is that it is in a very good location. I booked it from makemytrip and i was shocked to know that there was rs700 per night less on the same room if i book directly from hotel which is cheating. Room was small the bathroom had leaking geyser. No provision for making tea in the room no breakfast. The sheets were dirty and the staff refused to change it. This whole street is full of hotels. All very competitively priced. While that can be a good reason to find yourself a better deal. It also works against cos irrespective how good the quality is, people will keep coming. This is sort of a hub for buses too. When I consider the amount I paid for an AC room, this does become a decent option. While it won't be too good for longer stays cos the room is small, no proper place for hanging stuff etc. The room cleaning too did not take place during my two days of stay. Having said that the condition of the toilet was average. Air condition about okay, although the room or the set up of things lacks planning. Wifi wasn't reliable. If your room is closer to the stairs there is a chance of having wifi in the room. Please find a different hotel.